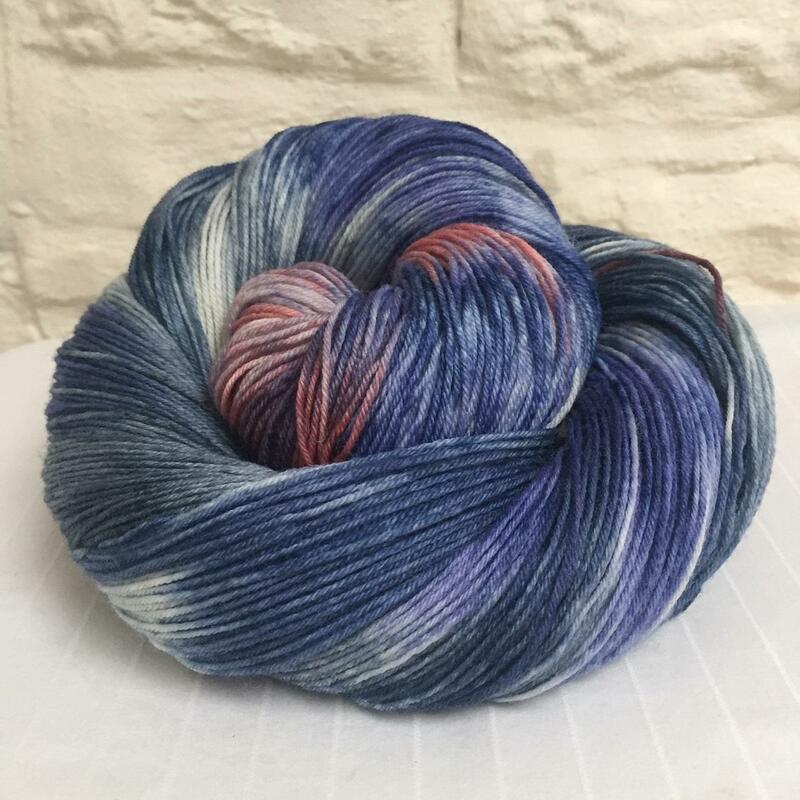 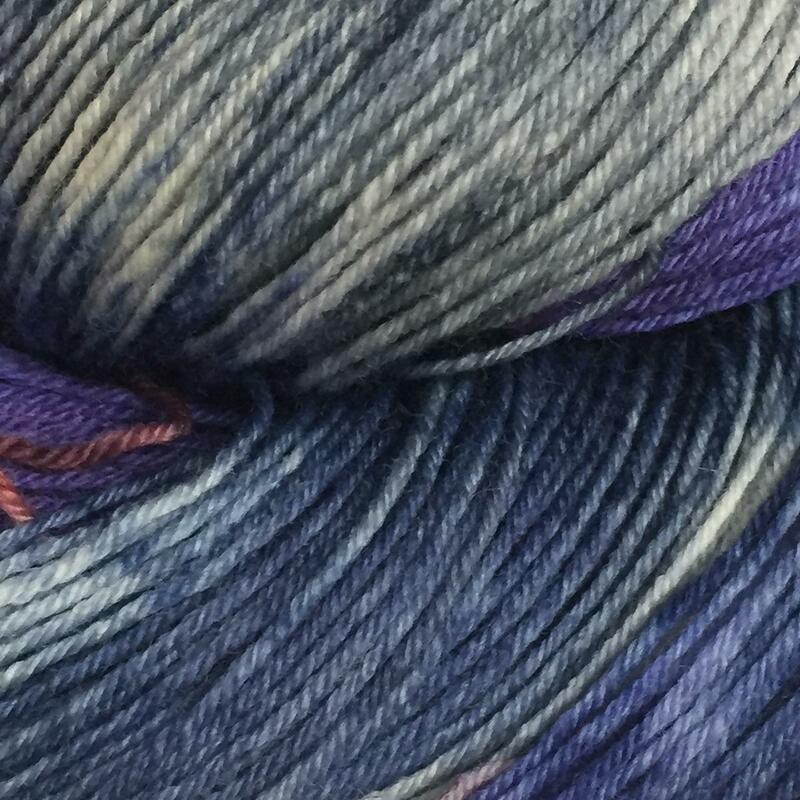 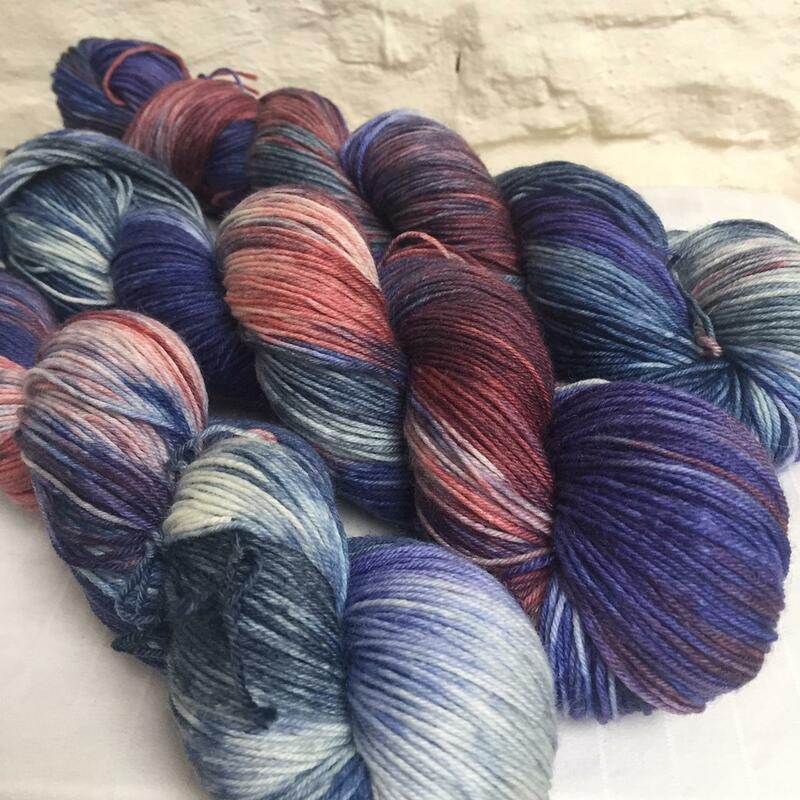 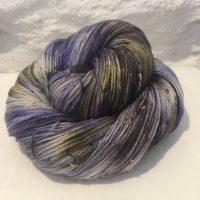 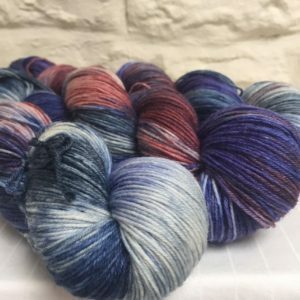 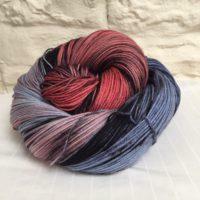 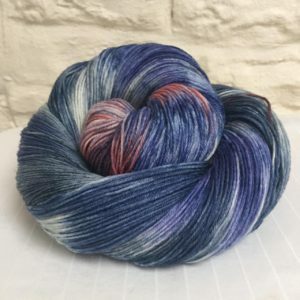 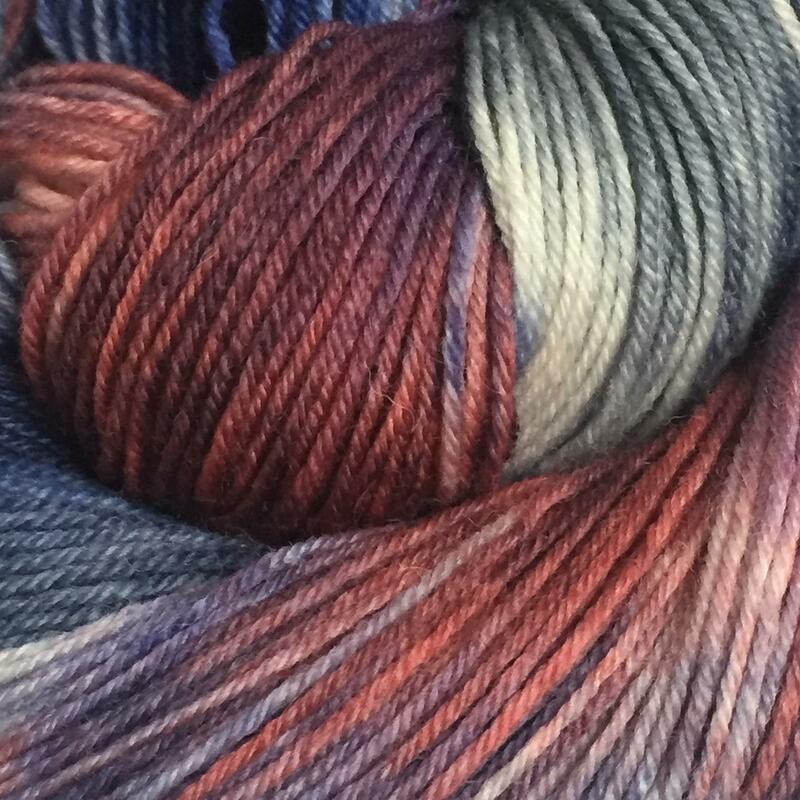 “Storms over Stanage” is a moody colourway featuring shades of dark blues, greys, russet reds and flashes of white. 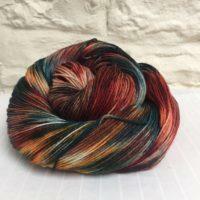 All very reminiscent of an approaching storm over Stanage Edge. 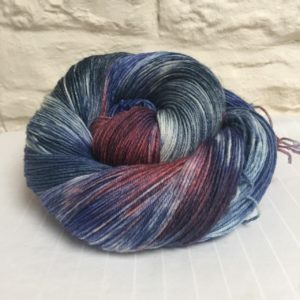 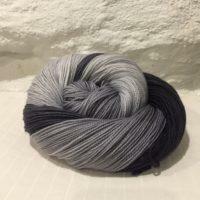 Dyed on a 75% blue faced leicester/ 25% nylon base this skein would be perfect for socks or shawls.